By aligning state board's syllabus with NCERT, has Punjab's history been subsumed by national history? By aligning state board’s syllabus with NCERT, has Punjab’s history been subsumed by national history? 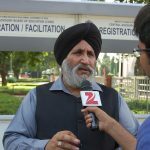 Punjab School Education Board recently aligned its senior secondary history syllabus with NCERT’s National Curriculum Framework 2005 sparking a major controversy in the state. Chief minister Captain Amarinder Singh was forced to form a committee of eminent historians to review the move. 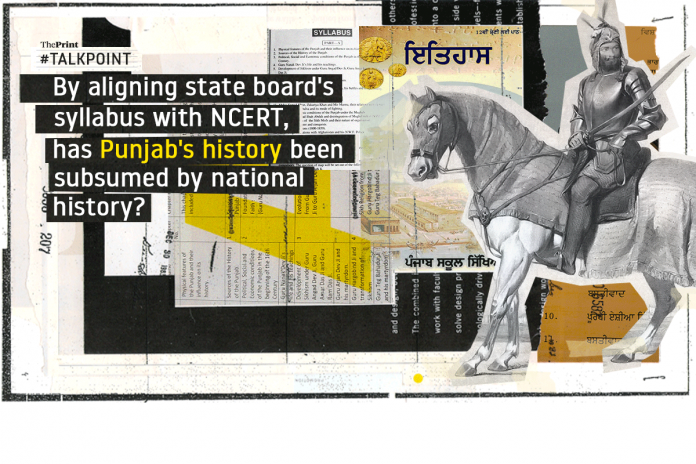 ThePrint asks: By aligning state board’s syllabus with NCERT, has Punjab’s history been subsumed by national history? Punjab’s history has in no way been subsumed by aligning the state board’s history syllabus with the NCERT. The idea behind the move was to make the new history books for classes XI and XII more crisp and readable against the bulky and voluminous ‘guides’ or kunjis, available in the market. In fact, there were no history books published by the state board for these classes till now. Students had no option but to buy expensive guides, which were printed by private publishers. They carried on their business, and while competing with one another, kept adding more and more text to the syllabus each year. The guides are aimed at making students study the subject by rote and not understanding it. Our government decided to come out with history textbooks to provide better quality study material at a much lower cost. The textbooks prepared by the board in keeping with the NCERT guidelines are activity-based which encourages the students to get curious about the subject and look for further information on the topic. The portion that dealt with Punjab’s history, which was earlier taught in class XII has been added in classes XI and XII now. The history of the Sikh gurus is being added in its entirety in the class XI book which will be out in another ten days. We shifted India’s history from class XI to class XII because we wanted students in class XII to be better prepared for national level competitive examinations. The intention was not to shift Punjab’s history to a lower class because it is the less important class. The claim of the Congress government that it changed Punjab’s history syllabus because it was aligning it with the NCERT syllabus is one of the several falsehoods that have been peddled over this issue. If one reads the syllabus alignment process of the NCERT, it clearly says that the ‘local’ needs of the curriculum will not be overlooked. Also, adequate importance has to be given to the history of Dalits, tribals and minorities. And if there is any such gap in the NCERT syllabus, the state should fill it. The NCERT even says that the teaching should be in the mother tongue and at places where tribals live, it should be in the local tribal dialect. Union minister of human resources and development Upendra Kushwaha, while answering a question in the Lok Sabha on 20 March, categorically said that education was on the concurrent list and the government of India had no objection to states adopting, adapting or not adopting the NCERT framework at all. 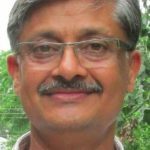 Having said that, one notices that some of the largest states in India have not adapted their syllabus to NCERT; 18 states have only partially aligned their syllabus and only seven states, including Punjab, have adopted the NCERT syllabus. Also on 6 April, the NCERT asked all states for suggestions for revising its own 2005 syllabus. What was the tearing hurry for Punjab to adapt its syllabus to NCERT at this stage when it was due for a revision? The government thoughtlessly thrust upon class XII students a new syllabus when they already did their class XI with the old syllabus. Gujarat while changing its syllabus first introduced it in class I, then in class III, and so on. The syllabus has been changed by the Congress party government to erase the history of Punjab. This party has always been anti-Sikh and they have proved it again. The NCERT after so many decades of experience and research on the pedagogy suggested a national curriculum framework in 2005. The framework suggested by the NCERT is tried and tested. In every state that it was adopted in, like Kerala, Andhra Pradesh, Tamil Nadu, Rajasthan and Chattisgarh, it helped the students. The NCERT’s framework is suggestive. It is for the state to make all the modifications it wants to make and adapt it for teaching by focusing on the concerns of the state. 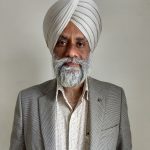 The Punjab School Education Board (PSEB) experts committee was initially a mix of school teachers, college teachers, university professors and textbook authors. It deliberated over the NCERT framework and the entire system of teaching history in Punjab. It then came to a broad consensus, which is reflected in the changed syllabus. Care was also taken to ensure both the absence of political bias and highlight the uniqueness of Punjab. Professional advice was taken from two members of the State Council of Educational Research and Training (SCERT). As a historian and a teacher of three decades now, in my view, this syllabus is one of the most balanced and robust curricula that can be made for Punjab. It has content which is entirely focused on Punjab. Almost 40 per cent of the syllabus is on Sikh gurus and the history of the Sikhs and the state. Another 40 per cent is on Indian history with a focus on Punjab. The remaining 20 per cent is on non-Indian history to give students a flavour of other cultures. The syllabus also emphasised that the content should be self-sufficient and include further readings and activities which the students can do on their own without the help of a teacher. 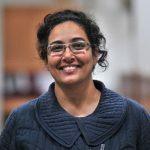 These are tried and tested techniques of the best possible pedagogy for high school and higher secondary school students. The old syllabus followed by the Punjab State Education Board had an independent paper on Punjab history in Class XII. Now it does not exist. Basically, the central government is trying to bring the Indian society, despite its varied religions, languages, ethnic and caste groups under the ‘Hindutva’ umbrella. The government of India feels the need for ‘nationalisation of history’ to juxtapose it against the ‘communalisation of history’. What is happening in the process is that regional identities are being assimilated into a singular national identity. The reason history as a subject— its curriculum and teaching— is being given so much significance is because the first step in carrying forward a national agenda of modernity is through a change in history. Every government tries to change history to mould it according to its skewed views. What this government fails to realise is that ‘nationalism’ as an agenda is now outdated. This is the time when there is a need to have a pluralistic, multi-cultural view of things. We are in the post-modern phase of history now. Our history syllabus should give adequate space to regional identities and the local. If the NCERT’s aim is to standardise information, it is possible only in subjects like science and mathematics, and not in humanities. The NCERT gives guidelines to make the teaching of history more interesting through innovative techniques. This does not mean that such a massive change should be made in what is taught. What the Punjab government has done is mischief. It is not a fault but a blunder. How can you erase the regional or local history of a state and align it with national history? The Class XII book based on the new syllabus is titled ‘History’. History of which place? Of when? In a book titled just ‘History’ you can add or delete anything. I am not against realigning the history syllabus with the NCERT’s syllabus but it should not be at the cost of Punjab’s history. Second, Punjab is the cradle of Indian civilisation. Its history cannot be ignored, even at the national level. Third, in trying to align the Punjab history syllabus with NCERT, the government has compromised with the continuity of Punjab’s history. The state’s history is now spread across classes IX to Class XII. How can a student of history who intends to study the subject in its totality understand it with chapters spread across different classes? One should know the complete history of Punjab in one class. Not learn about it in bits and pieces as they move up the academic ladder. Unless we acquaint our students with our history and traditions, how can we preserve it? 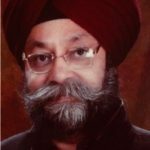 If a student in Punjab does not know who he or she is, what are his or her roots, how will he or she appreciate what is happening in other states? In the text that has been made available in accordance with the new syllabus, there are many distortions and blunders. National heroes have been dishonoured. What about its impact on young, impressionable students who look up to these heroes? I have learnt that a new committee has been constituted Monday to review the syllabus. The last expert committee took four years to align the syllabus, now will this new committee take another four years to review it? Underlying the entire problem is a fundamental fallacy in the NCERT’s writing of history for educational or pedagogical purposes in a federal polity— the excessive focus on the global and the national at the cost of the regional. India’s sheer size and diversity compel keen and sensitive attention to its regional histories. The rich plurality of regional histories is what combines to make India such a strong composite whole. In mechanically aligning Punjab’s history textbooks with NCERT’s prescribed syllabus, the state government has virtually erased Punjab’s own history. Instead of one complete textbook devoted to the history and culture of Punjab alone, the government has split up the existing syllabus on Punjab into two parts clubbing Punjab’s history with the world history (in class XI) and with the history of India (in class XII). 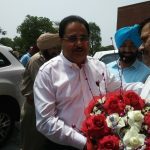 As a result, the part now proposed to be devoted to Punjab stands reduced to a little more than half in class XI (6 out of 11 units) and to less than one fifth in class XII (two out of 11 units). The earlier class XII textbook (22 units) was devoted entirely to Punjab. A closer familiarisation with national and world history is not wrong in principle. But the students run the risk of being left rootless if the history of their own region is dispensed with in order to make way for larger, distant histories. Compiled by Chitleen K. Sethi, associate editor, ThePrint. Previous articleKilling of Kashmiri professor—has govt outreach failed with more educated youth turning to militancy? Next articleSonam Kapoor’s name change – choice feminism or blatant patriarchy?